The last local race of the season went off without a hitch. A few blown tires and spinouts and car issues notwithstanding. Our normal format is two races of one hour each. Battery management is a big player in how you finish since you cannot do anything with the batteries once the race starts. The race this time was based on a series of 20 minute races going for speed. It’s hard to kill a set of batteries in 20 minutes so it’s wide open racing from the get go. The Brandon 1/4 mile track was ideal for this event. Teams went full throttle with a few slight turns for 20 minutes. 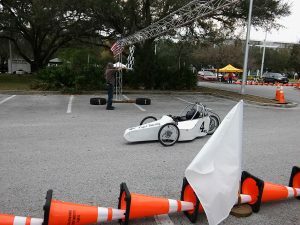 Mark Knowlton and his team was a great host for this event as the track was one of our cleanest race venues, we had lighting for race day setup and they did a fundraiser selling hot dog, chips and sodas so teams did not have to leave the campus and fight the Brandon traffic. 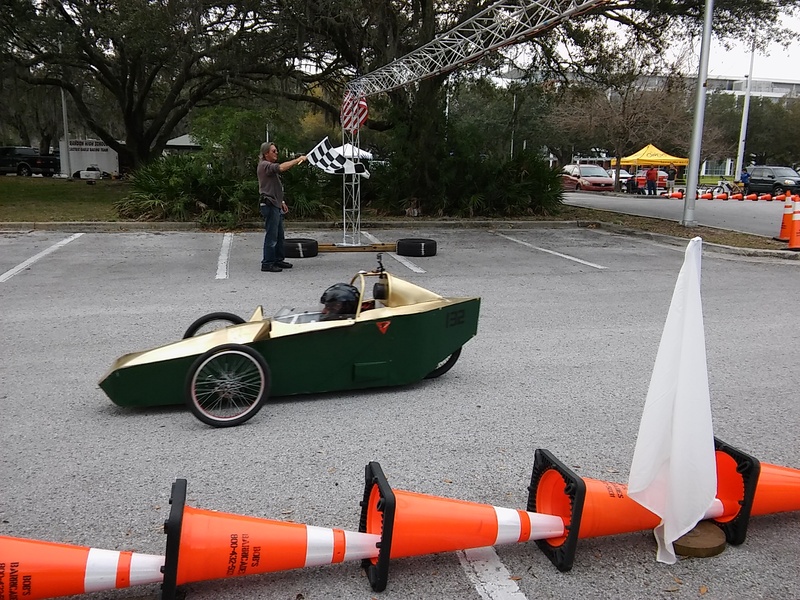 Brandon High School Principal Jennifer Sparano came out to the race to support her team and Electrathon Racing for a short period of time as she had several events going on throughout the campus she had to oversee. 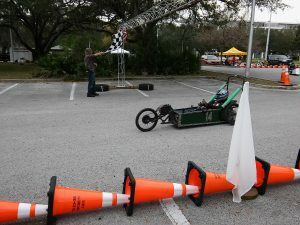 In the Open/Advanced Battery Class it was University of South Florida (Aditya Chelikani) taking both races and setting a track single lap record with a time of 24.7 seconds for a speed of 36+mph and a lap count of 84 laps at the end of the day. Silver Bullet Racing (Jim Robinson) was back on the track with a brand new car design taking 2nd with 83 laps and Tiger Racing (Rodney Schreck) taking the 3rd spot with 81 laps. The second race Silver Bullet and Tiger Racing fought it out for the second place finish coming down to the race time to make the determination. Silver Bullet had 20.13.575 race time and Tiger Racing had 20.13.952 race time. Titan Racing with Brady Weber at the wheel and making only their 3rd start of the year took 4th with 80 laps. This was a very close race for our advanced and open battery folks. Titan Racing had a blow out in the first race (just by chance close to his pit area) and finished the race in the pits. Otherwise they would have been contending for the top spot. When Titan Racing blew the tire it scared some of the spectators who had never heard one of our high pressure tires blow. No noise when a tire goes flat but when they blow, at 80-100 PSI, it sounds just like a gun shot. Several flat tires during the day but only one blow out. Jim Robinson AKA Silver Bullet Racing AKA Robinson and Son Racing have been building Electrathon Cars for a LOOOOOONG time. He has outdone himself with his latest design. It has enclosed wheels, wide front end, VERY aerodynamic, a full suspension and a great color combination that if flashy. It will give other teams a run for its money. If Jim used lithium batteries it would not need rear view mirrors. In the High School Class the Brandon #9 car (Dustin) took the first race with 40 laps and in the second had the fastest time in class with 27.9 seconds. The #9 cars luck ran out late in the second race when a tire went flat and it finished the race on the sidelines. It still managed a 2nd place overall with 65 laps. Lennard High School ran strong in both races and took a 2nd place in the first race and a 1st place in the second race. 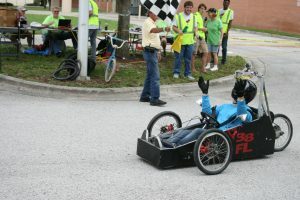 This gave them 1st place overall in class with 75 laps. Their best lap of the day was 28.2 seconds. The Simmons 53 car took 3rd with 61 laps and a best lap time of 36.0. Brooks DeBartolo showed up with a team trailer that was bigger than a tiny house (we think they are planning ahead and will fill the trailer with a number of cars and become very competitive) They ran into vehicle issues in the first race allowing them to only complete 3 laps in the first race. 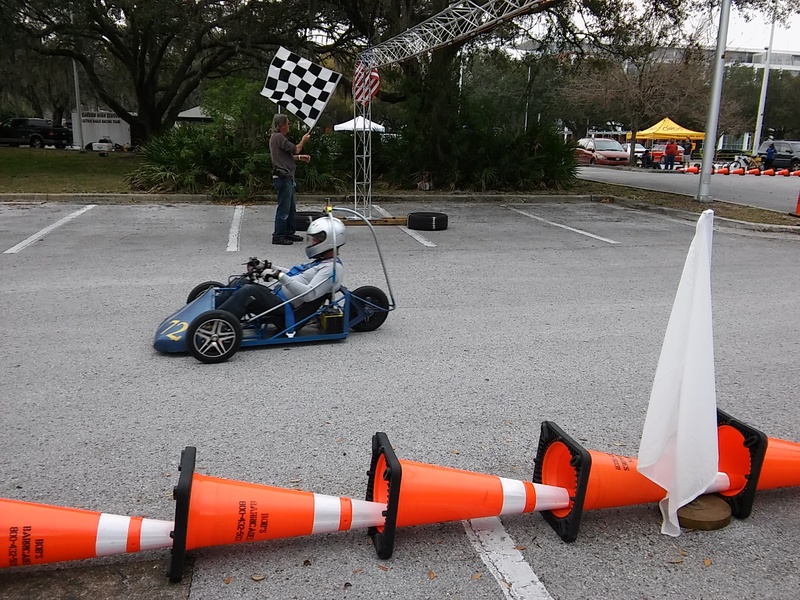 During the sponsor’s race they experienced a flat causing the car to do a scary zig zag in the turn and had to withdraw when the throttle control went out and they were not able to start the second race in their class. The Sponsors Race was held between the regular races. This race is where team sponsors and race officials take their life in their hands when they get into the cars and race for 20 min. The USF 132 car with Titan Sponsor Mike Kaufman driving took 1st place with 42 laps and the fastest lap for the race with a time of 25.4 seconds. The Lennard 86 car with Sponsor Jim Reeve driving took 2nd place with 39 laps. The Silver Bullet Racing 94 car with Mike Frederick (Race Steward) driving took 3rd place with 34 laps (20.03 race time). Simmons 353 car with Sponsor William Knight driving took 4th place with 34 laps (20.23 race time). Simmons 53 car with Cleto Chazares (Principal) driving took 5th place with 34 laps (20.32 race time). Brooks DeBartolo 55 car with Sponsor Chris Hochman driving took 6th place. 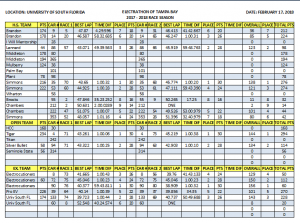 We end the race season next month at the Florida Solar Energy Center in Cocoa. We expect to have another big field and a great race to end the season. Season Awards will be presented at the end of the races. Hope to see everyone there. March 24, 2018 – St Pete College/Seminole Campus Electrathons, Zombies and Superheroes – Oh My…..
Our first race in Pinellas County in several years went off without a hitch, even though we were in the parking lot next to the building with all the Zombies and Superheroes at the St Pete College Maker Con and Comic Con Event. With some teams on spring break and others with family situations, our starting grid was a little down in numbers but the races were still very competitive. We enjoyed having our Director of Community Outreach, Bob Clarke at the entire race day. We also welcomed Laura Spence, STEM Specialist with the Pinellas County Schools to her first race. Laura is helping us to recruit teams from the Pinellas County High Schools. The Open Class Tiger Racing Team in the #4 car was the one to watch finishing the day with ONLY 205 laps and a 1st place overall in the open class. Rodney finished the first race with 99 laps and was challenged by Charlie to break 100 laps the second race, meeting that challenge with 106 laps the second race. 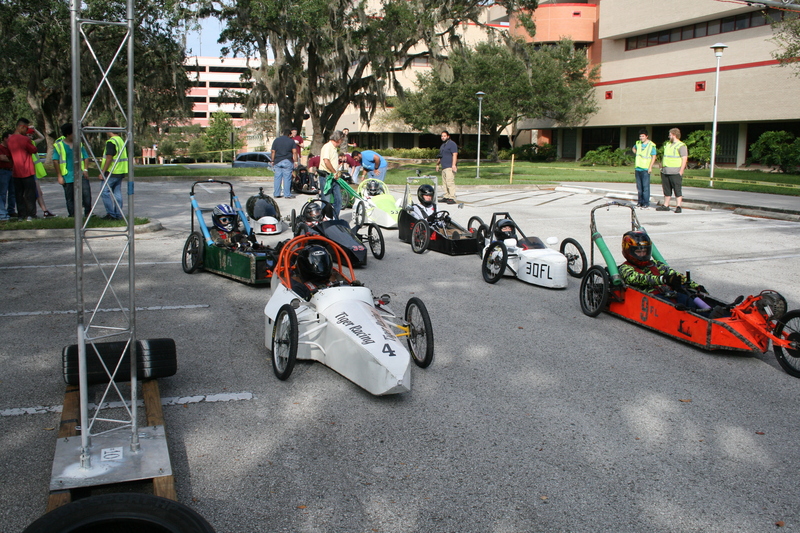 The up in coming Lennard High School Team in car #86 finished the day with 180 laps. The team has improved at every race, perfecting the car and racing strategy. 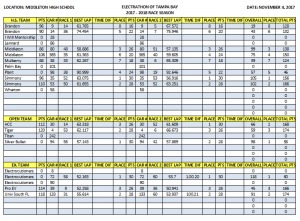 The way Lennard HS is racing, they would be in 1st place if they could have made it to every race this season. The Brooks DeBartolo Team had a great day as they are working out the bugs on their car. The team was pleased to finish the day with a 2nd place overall. 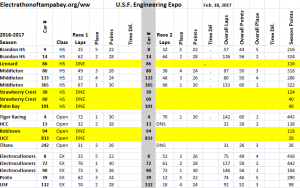 The USF Team had a challenging day as they had issues the first race. Getting back out on the track the second race and finishing in 1st place overall in the advanced battery class. We welcome back the HCC Team after a short absence to change some components on their #30 car. It was good to see the Titans Alumni #242 car back on the track after a long absence. The 242 car took 2nd overall with a new driver Robert Manring since Brady couldn’t make the race. Robert is a graduate of Brandon High School and was a driver for their team. We congratulate Brady on his upcoming job at Cocoa Cola. The Titan Teams might need to raise the role bar or shorten the driver for the next race as Robert is very tall. We also had the old King Alumni Car #60 back on the track with its driver Nicodemus Brothers. The car had an issue the second race as it blew the front tire when the wheel hub motor lost some spokes ending the race day early but finished with a third place overall. Our next race will be at Brandon High School on April 14th. This is a unique race for us. A regular race is a one hour timed event, how far can you go in one hour with one set of batteries. This time there will be two 20 minute races per class going for safe speed instead of endurance. As an EXTRA ADDED BONUS the High School Team Sponsor, College Team Sponsor and Executive Board Members will race for 20 minutes as well. Hopefully most of us will be able to fit into the cars. The ETO annual membership meeting was held at the Cracker Barrel on July 17, 2017. Charles Harrison gave a breakdown of last year’s season which saw considerable growth for ETO. We met a large number of our business plan goals and objectives. There was a lot of discussion about the upcoming season which will see even more growth and be very busy. The new season that starts with our opening event at Hillsborough Community College/Brandon Campus in September will see even more growth. Representatives from teams as far away as Fort Myers (I Will Mentoring Foundation) and Orlando (Electrocutioners) were present and teams in South Florida (Pro EV) sent in material that was read at the meeting. We were honored to have the new Electrathon America Vice President, Don Morgan from Quitman Georgia, attend our meeting. Don went over the changes in store for Electrathon America. Electrathon America has a whole new slate of officers headed by President Kirk Swaney who has a lot of new ideas to move everyone forward. New rules at the national level are in the works for car and driver safety. They are substantial but will not be difficult or expensive to comply with. The main one concerns the roll bar set up and how it is measured. More info will be forwarded when the rules are adopted in their final form. Locally we should see the return of Lennard and Wharton High School. Plant High School has a car ready to go for the season opener. Brandon High School is working on a 3rd car but lost their sponsor and needs a new one to step up and help them out. Middleton High School has new drivers and a new 3rd car in the works. 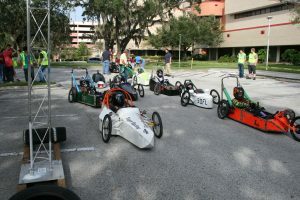 ETO has several loaner cars and we are working on getting new schools involved in Electrathon Racing. Our local schedule and other out of town events will afford many opportunities for our teams to compete on a higher level and push that one hour envelope. 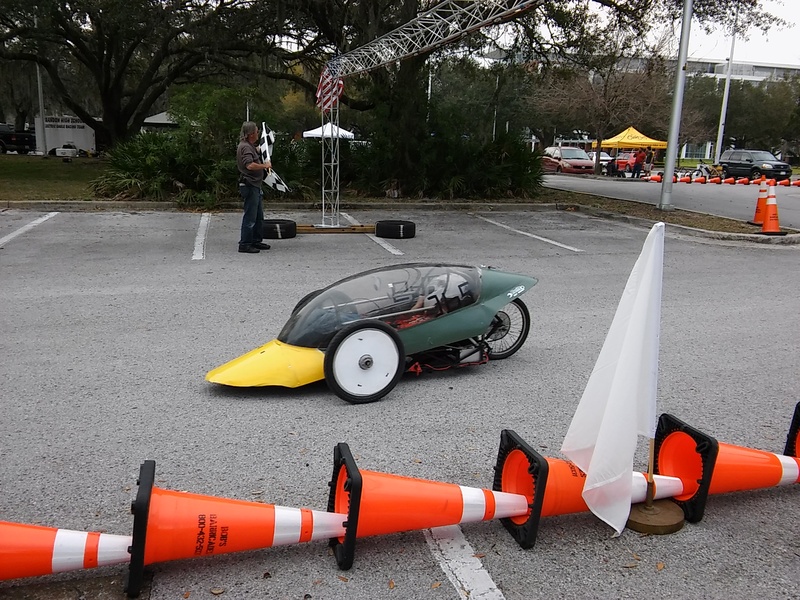 Sai and his guys from University of South Florida are working on their Lithium Powered car and have come up with some innovative ideas for battery management that will increase the reliability and safety of the batteries. Sai has also come up with a very neat way to implement 2 way communications among the teams, officials and sponsors using our cell phones and an ear bud set up. More info as the system is implemented. Are You Ready For The New Season? Are Your Batteries. This information is for the teams that are using sealed lead acid batteries. The information has been around for a while and is presented as a reminder/refresher. First off, not just any battery charger will do the job you need for your batteries. The charger needs to have an AGM/GEL cell Cycle. A charger meant for a regular liquid lead acid battery has only one cycle to charge a battery. The charger for an AGM/Gel will have multiple cycles to properly charge them. It will also extend the life of the battery. Charge rates are also important. If you charge the battery at to high of an amp rate you can damage them. 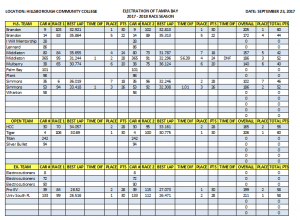 The Optima Battery web site has some real good information on battery maintenance. A 12 volt battery should be around 13 volts when fully charged and ready to race. Testing your batteries is a lot more than just checking the Voltage. I have tested batteries for teams that read 12.6 and only had 400Amps. They would not have made half the race. Each team should have a DIGITAL BATTERY TESTER. This type of a tester will give Voltage, AMPS and also detect a Bad Cell. A battery with a bad cell WILL NOT charge properly and will leave you dead on the track. 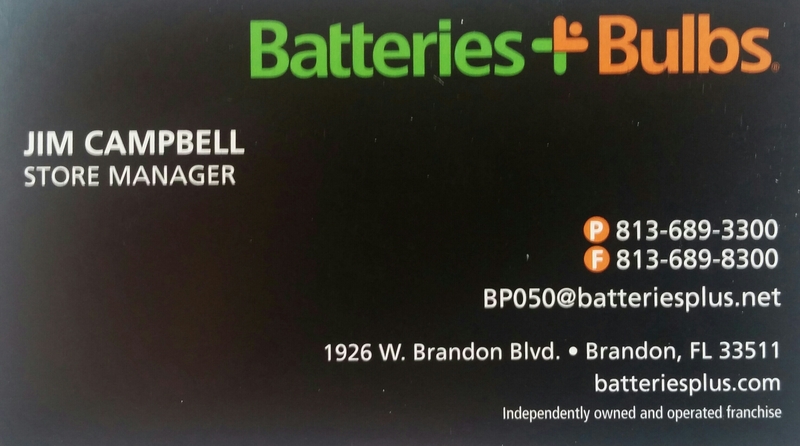 Digital Battery Testers are available from most auto parts store and they can be expensive. I have seen them on line for $50 – $80. Another tool that can come in handy is an Infrared Tachometer. Do you want to know how fast a given gear ratio will move your car? You need to know the motor RPM. The number of teeth on the motor gear, the gear on the drive wheel, the circumference of the drive wheel AND the motor shaft speed will give you the max possible speed for each gear set. You can tailor the gear ratio for the individual track. gokartracing.org has a calculator that you can input the information and get MPH for any combo of gears and wheels. The proper battery charger, a Digital Battery Tester, an Infrared Tachometer. These will help keep those batteries in top shape and your car on the track. Remember it’s all about the batteries. After the Fairgrounds race was canceled Middleton High School stepped up to host a second race on their home turf. This time the track was much longer and more difficult. The new layout was rougher than in the past and had some real tight turns causing more than one car to try some off road driving. Middleton had their snack stand working and had pizza, drinks and snacks. It was much appreciated by all the racers and spectators. It worked out well for them as they took top honors in the High School Class both times. Car 80 took the first race back in November and the 365 car took the top spot this time out. After eight races and with only one remaining in the season Brandon and Middleton are in a dead heat. The Brandon 14 car and the Middleton 365 car are tied with 430 points each. Brandon started the day in the lead in the point’s standings but battery problems and a busted chain beset their #14 car and it finished in 4th place. Middleton jumped in and helped with the chain or the 14 car would have had an even worse day. Middleton took the top three spots with a steady performance by all three of their cars, with the 365 on top at the end of the day. In the Open Class it was Tiger Racings #4 taking both races against a much improved HCC car. The #4 car was one lap behind the top Experimental Battery car that was the top car for the day. The USF car had a rough day with a busted wheel in the first race and more wheel problems in the second race but is making steady progress. There are several out of town races scheduled by other groups and for the last two months of the school year and we will have cars at all of them. Our last race of the year will be at the Florida Solar Energy Center in Cocoa in May. The track will be longer than last year’s. We look forward to seeing teams from central Florida and the East Coast. The day started off with great weather on the USF course. The weather forecast varied all week from 20-80% chance of rain LATE in the afternoon. Then the radar showed a BIG rain band out in the gulf and that late rain showed up at 1:30 and drowned the place. We normally start the races at 10am and 1pm, with the radar looking real menacing we started the second race at 12:30. It turned out to be a good idea. The cars can run in the rain but its not a popular choice. Mike Fredricks, our race steward, waved the checkered flag 1 minute early just as the clouds opened up. We got the race in but had to take down the course in the rain. Trophy presentations were held under the canopy in the rain. In the High School Class it was Brandons #14 against the three cars from Middleton. In this race it was Brandon #14 against Middleton #365 with Brandon taking 2nd in both races and Middleton taking 1st in both races. In the last race it was Brandon #14 and Middleton #80 tied for season points. In this race it was #14 and Middleton #356 with Middleton taking first overall for the day to pull within 2 points of Brandon #14 and the season lead. There are 3 cars within 6 points of each other for the season. In the Open Class we had Rodney, HCC and the #242 car. 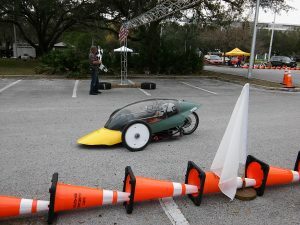 The #242 car was at Tampa Bay Tech but Tech does not have a team this year so BRADY, some other Alumni and current students raced it in the Open Class. The #242 car was and is very fast and it was great to see it on the track again. Brady now has the car with plans to continue racing in the open class as the Titans. Rodney in the #4 car took both races with HCC and the Titans car both having to withdraw with mechanical problems. They were not able to start the second race. The Titans car had a catastrophic blow out on a front wheel that blew the rim apart. In 10 years of racing we have seen many blow outs, flat tires and wheel collapses but never a rim coming apart like that. Almost half the rim sidewall was left on the track. In the Experimental Battery Class it was close all day with Drew and Slam battling all day with Slam in the #90 car taking the day with 146 laps. In the first race the #8 car had electrical problems and had to withdraw. 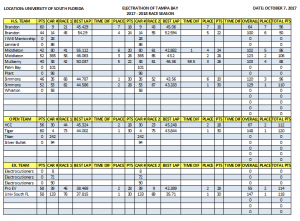 Drew, Slam and USF were within 3 laps with Drew on top with 76 laps, USF with 74 and Slam with 73. In the second race it was the #90 car and Slam with 73 laps and everyone else way behind. USF and ProEv both had problems and had to withdraw. Drew in the #72 car had problems with his car and it conked out several times and had to be pushed started to get going again. Pony in the #8 car had a wire come out of a connector and killed her throttle. Several members of other teams carried her car off the track and found the errant wire and soldered the pin and got it back on the track. The problems dropped her out of the season lead and put her 4 points behind Drew in the #72 car. Next race will be on the Track at Brandon High School on March 25th. We will be doing another speed event. Two twenty minute races going for speed and distance. Between the races there will be an extra special event. Team sponsors and ETO officials will be taking to the track for a short race. If we can manage to get into the cars. High School: 1st Middleton #365, 2nd Brandon #14, 3rd Middleton #80, 4th Middleton #133, 5th Brandon #9.